Named for an ISQOLS leader and pioneer in the advancement of the theme of the alleviation of suffering, contributions made to the “Ronald E. Anderson Endowed Track” will permanently endow a track on the “Alleviation of Human Suffering” to be held as part of each ISQOLS international conference program. This track will include as least two sessions consisting of three or more participants whose research activities overlap with the purpose of this endowment. Sessions organized by each Conference Program Committee will represent topical areas of the theme “Alleviation of Human Suffering.” Such topical areas could be, but are not limited to, any of the following: activism, altruism, caregivers, civil society, development, disaster relief, education, housing, meaning, migration, peace, reducing inequality, social responsibility, solidarity, sustainability, volunteering, etc. Ron Anderson is Professor of Sociology, Emeritus, at the University of Minnesota. He received his doctorate at the Stanford University in 1970, and served as faculty member of the University of Minnesota until retiring in 2005. In the early 1980s, he developed and published a computer learning game called “The Social Indicators Game,” which was published by Random House. For five years after that, he served as Director of the University of Minnesota Centre for Survey Research. That role prepared him for directing a series of large international surveys of how teachers adapt to new information technology in their teaching. To conduct these studies under auspices of the International Association for the Evaluation of Educational Achievement (IEA), he obtained several multi-million-dollar research grants. 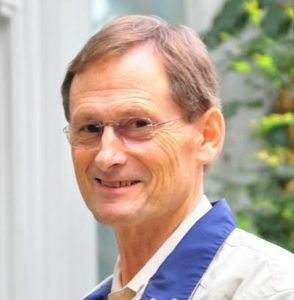 In 1987, Ron became Co-Editor of Social Science Computer Review, a Sage Academic Journal, and still serves in that capacity. He has received many awards including the William F. Osburn Lifetime Achievement Award on Communication and Information Technology from the American Sociological Association. He has been a member of the ISQOLS Board of Directors since 2014. Professor Anderson has 125 published articles and 12 books, the last three of which address the topics of suffering and alleviation of suffering. Anderson, R. (2014). Human Suffering and Quality of Life -Conceptualizing Stories and Statistics. NYC: Springer. Anderson, R. (Ed.) (2015). World Suffering and Quality of Life. NYC: Springer. Anderson, R. (Ed.) (2017) Alleviating World Suffering –The Challenge of Negative Quality of Life. NYC: Springer.